Tuesday Tunes is back and this week, I’m featuring the newest single from Noah Gundersen, “The Sound.” Released yesterday with a lyric video, the song marks a change in direction for the Seattle-based singer-songwriter as he adopts a heavier electric sound. The new sound is not a complete surprise, though, as Gundersen’s full-band project Young in the City leans in this direction, as did some songs on his last solo album, Carry the Ghost. An essay on Chris Cornell, untimely death, and the act of communal release. Welcome to Between the Notes 2.0! 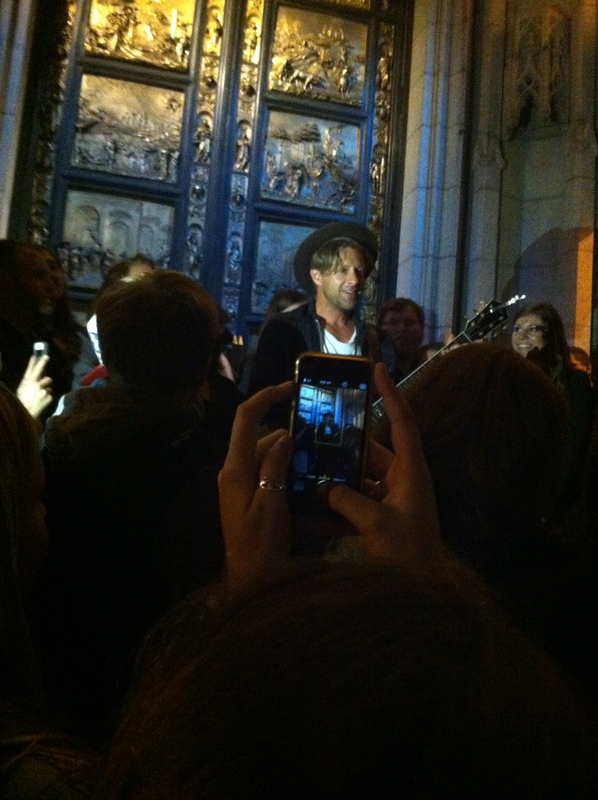 From the front steps of Grace Cathedral, Jon Foreman addressed the fans gathered to see his aftershow performance. Minutes earlier at The Masonic, a venue just steps away from the cathedral, Foreman’s band Switchfoot kicked off the second leg of the Tour de Compadres along with Needtobreathe, Colony House, and Drew Holcomb & the Neighbors. Foreman began playing “Only Hope,” and I was overcome with emotion as two realizations hit me: one, that I was in California, and two, that I was finally attending one of Foreman’s famous aftershows. As I sang softly along with the crowd, I hardly noticed the chilly air and occasional raindrops; a welcome change from the crushing humidity of Virginia.